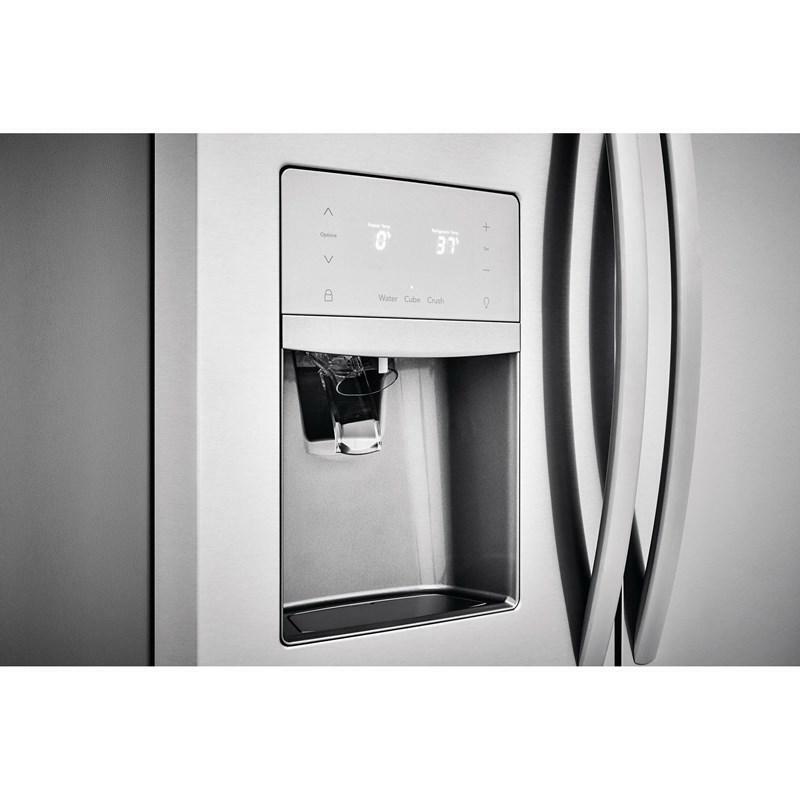 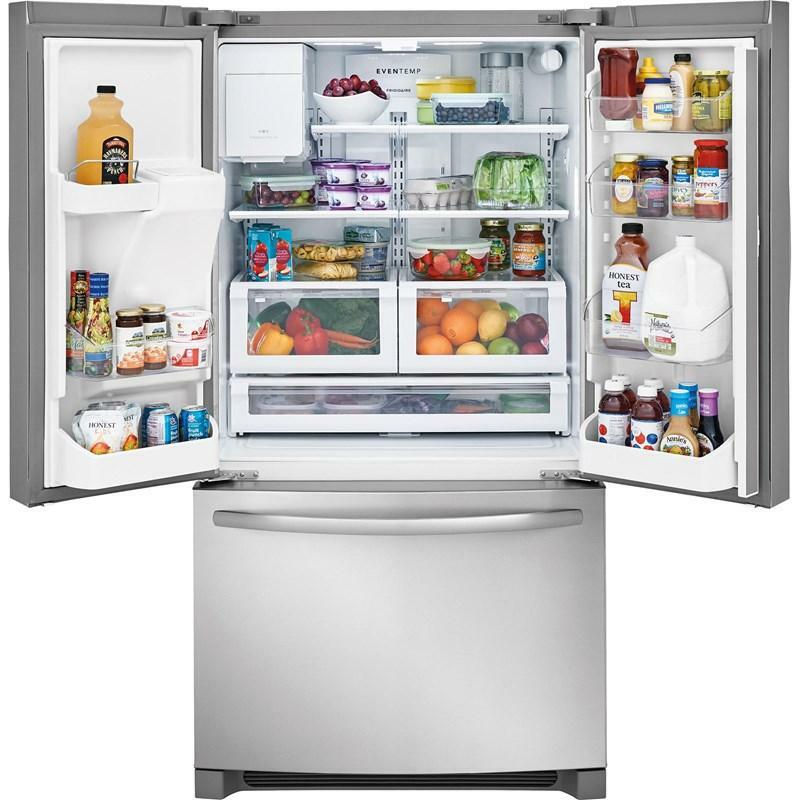 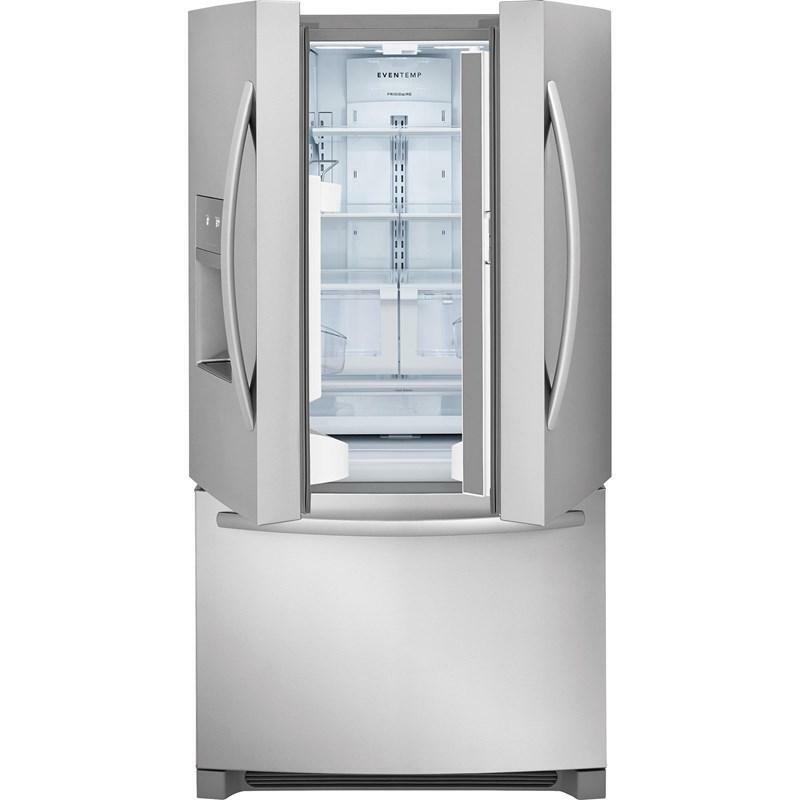 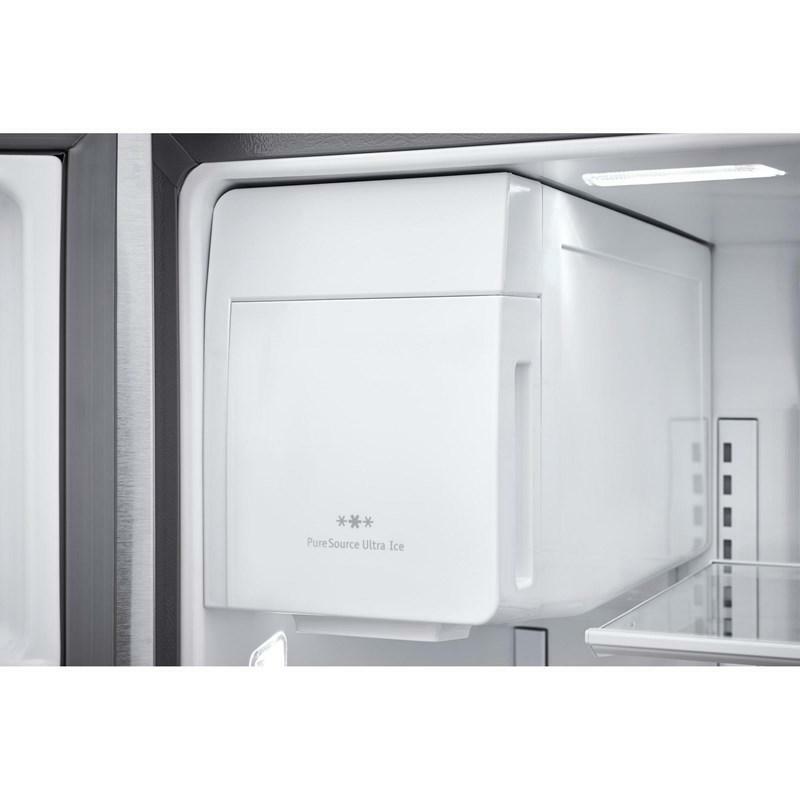 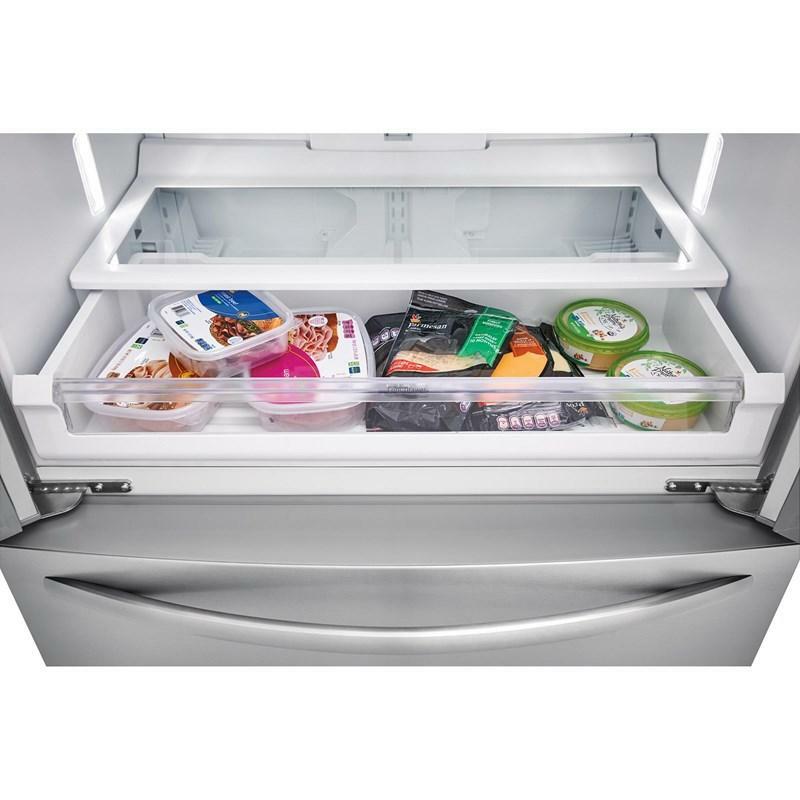 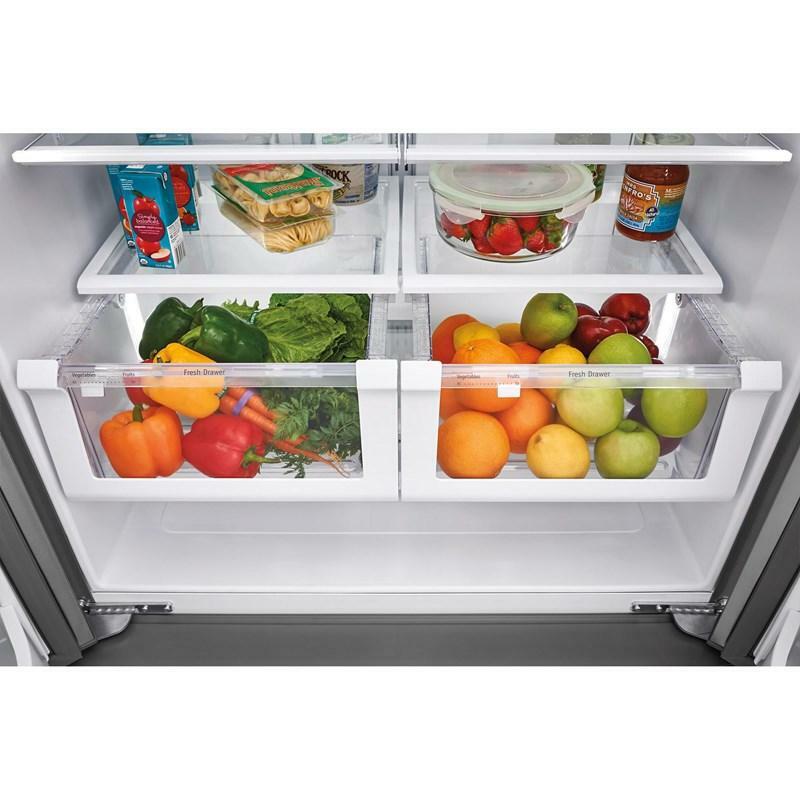 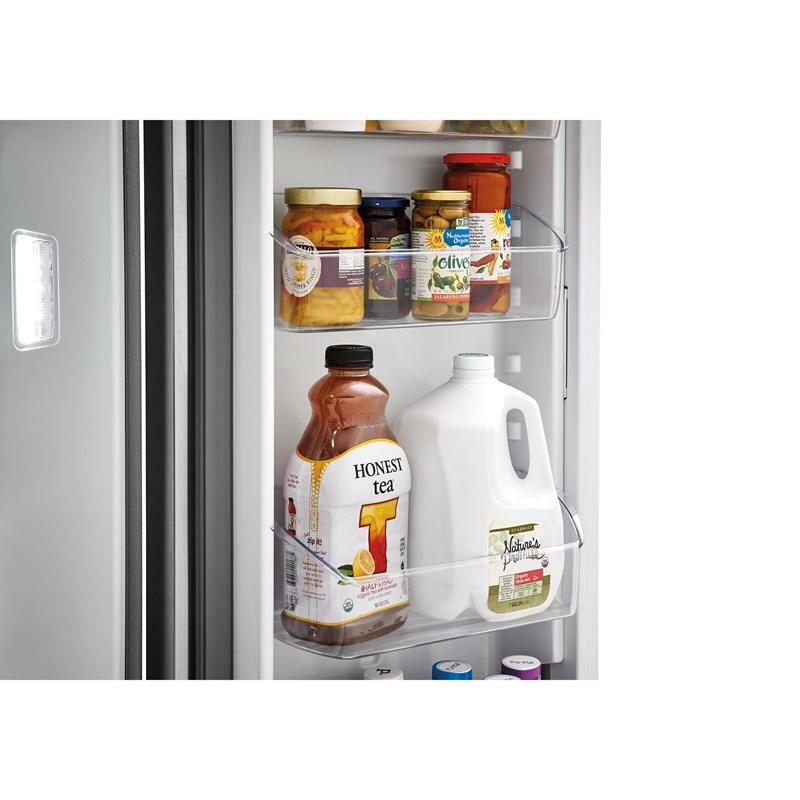 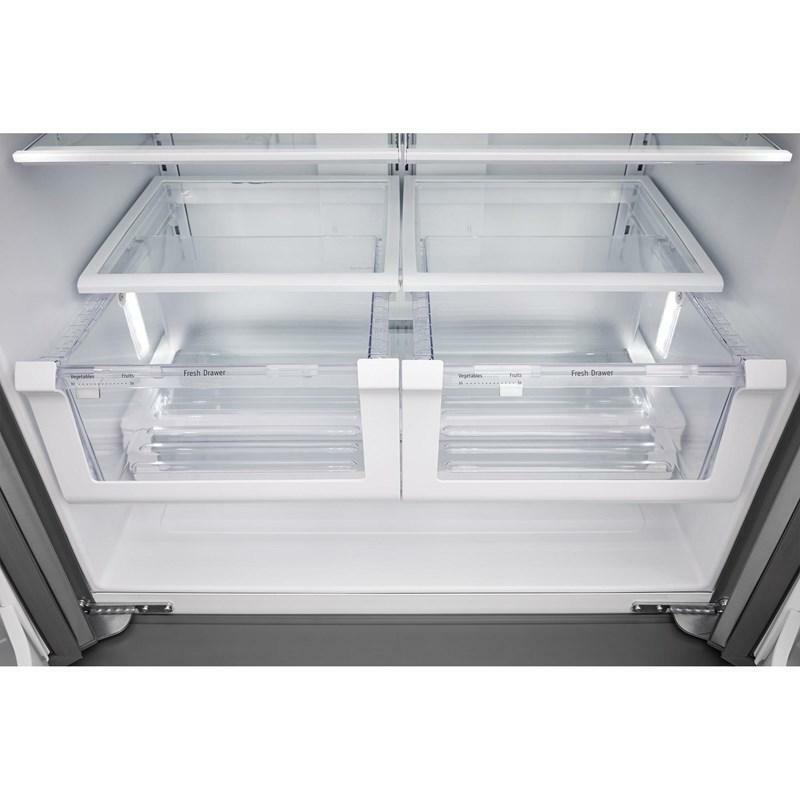 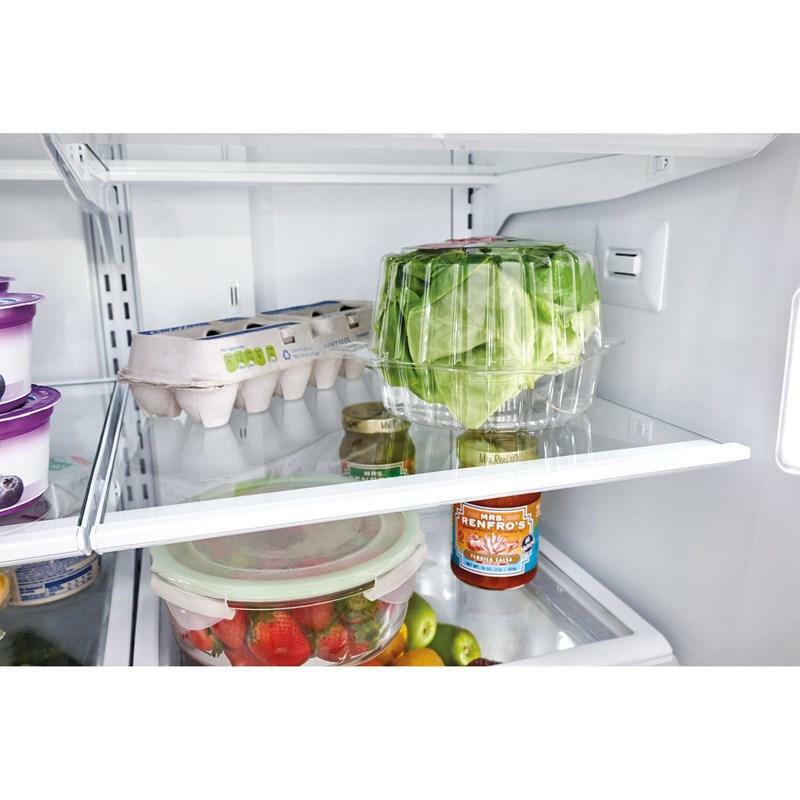 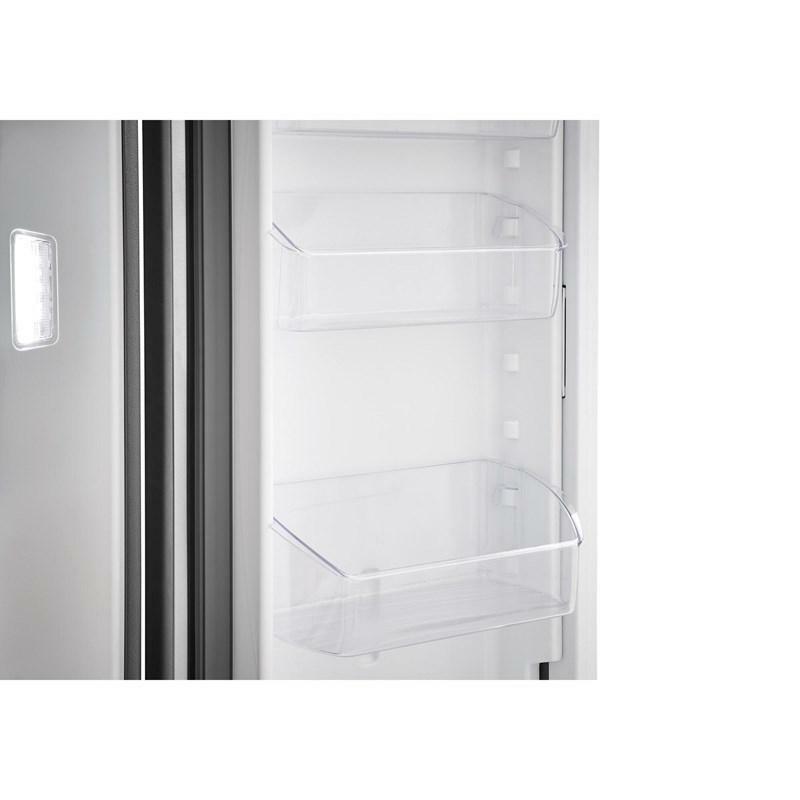 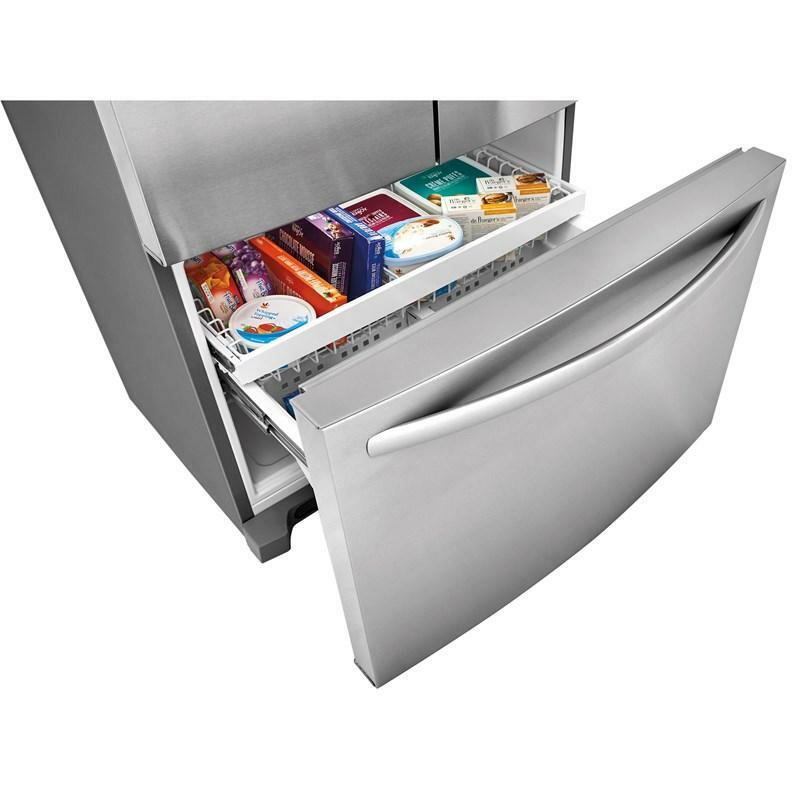 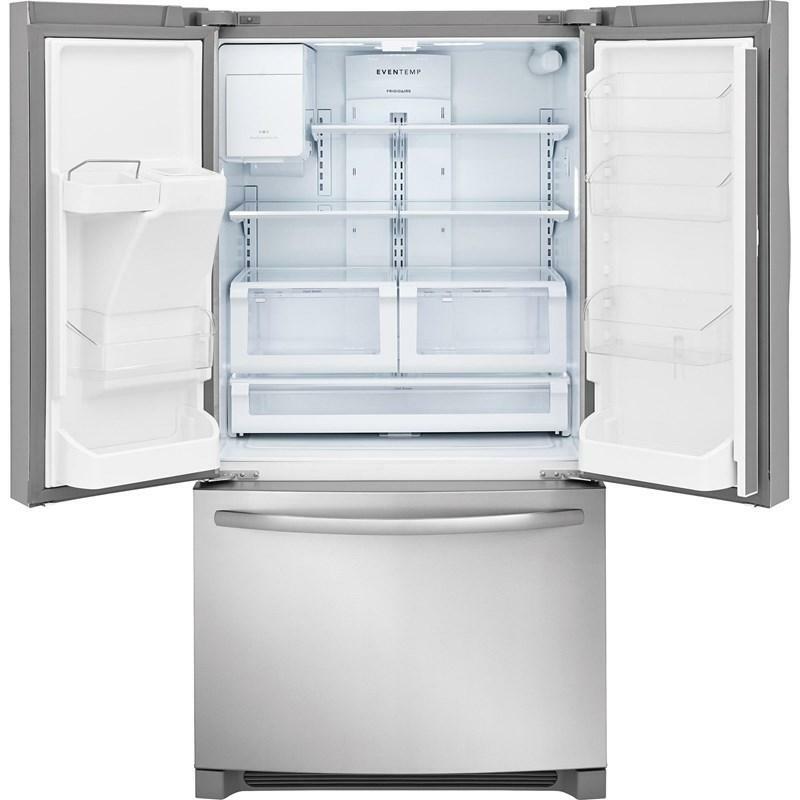 Frigidaire 36" French 3-door refrigerator featuring PureSource Ultra® II water filtration, Store-More™ bins and multi level LED lighting. 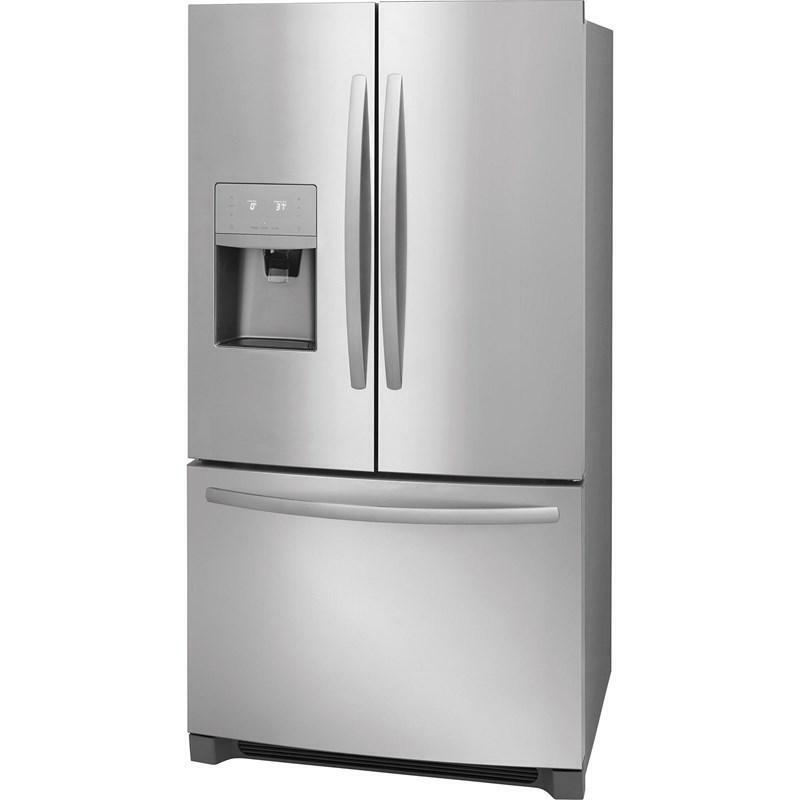 Refrigerator 14.9 cu. 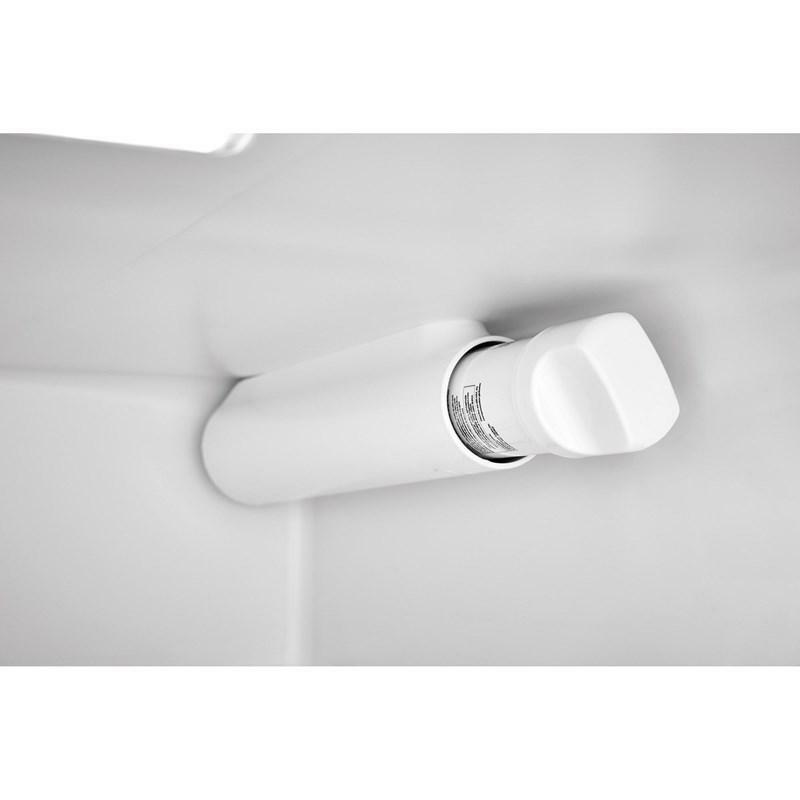 ft. / 0.42 cu. 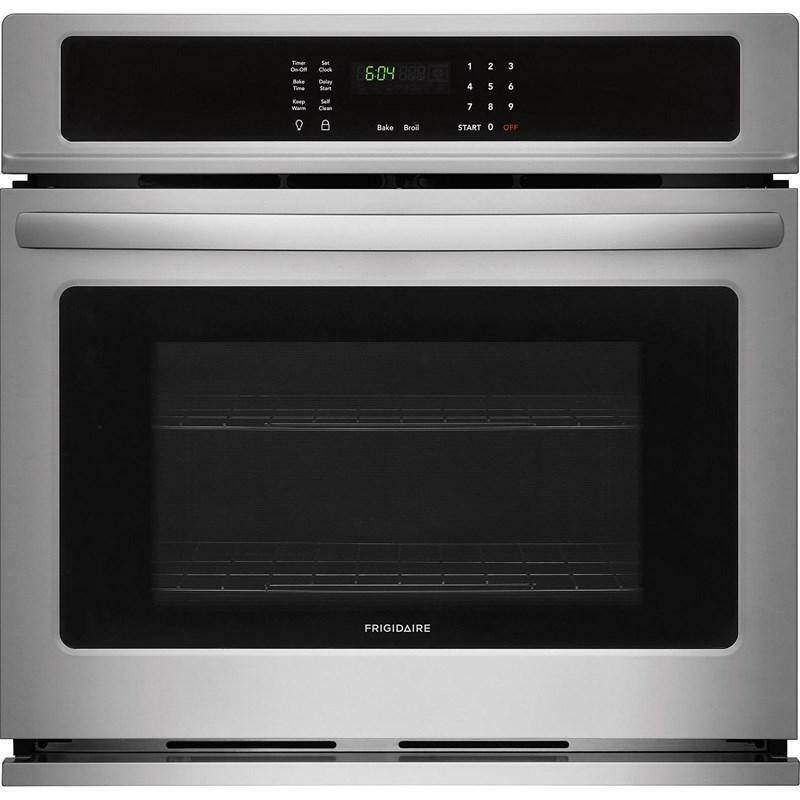 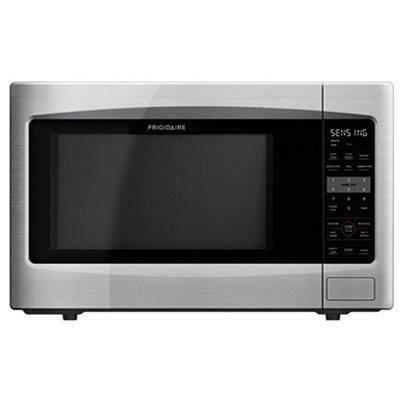 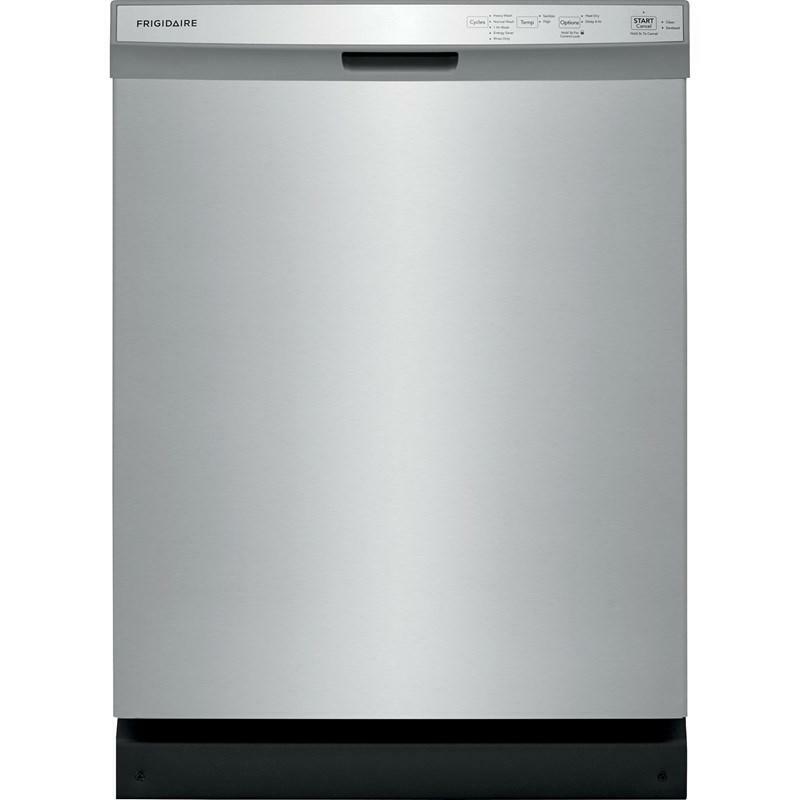 m.
Additional Dimensions • Depth with door open 90°: 42-1/2"
• Depth with drawer fully extended (including handle): 45-1/2"
This Frigidaire 30" freestanding electric range offers a 5.3 cu.ft. 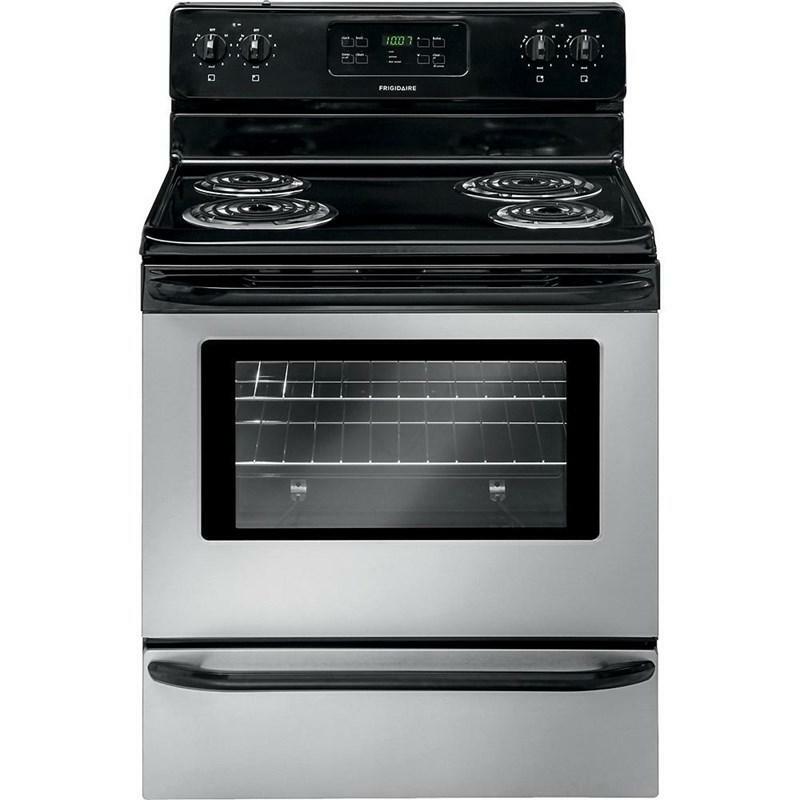 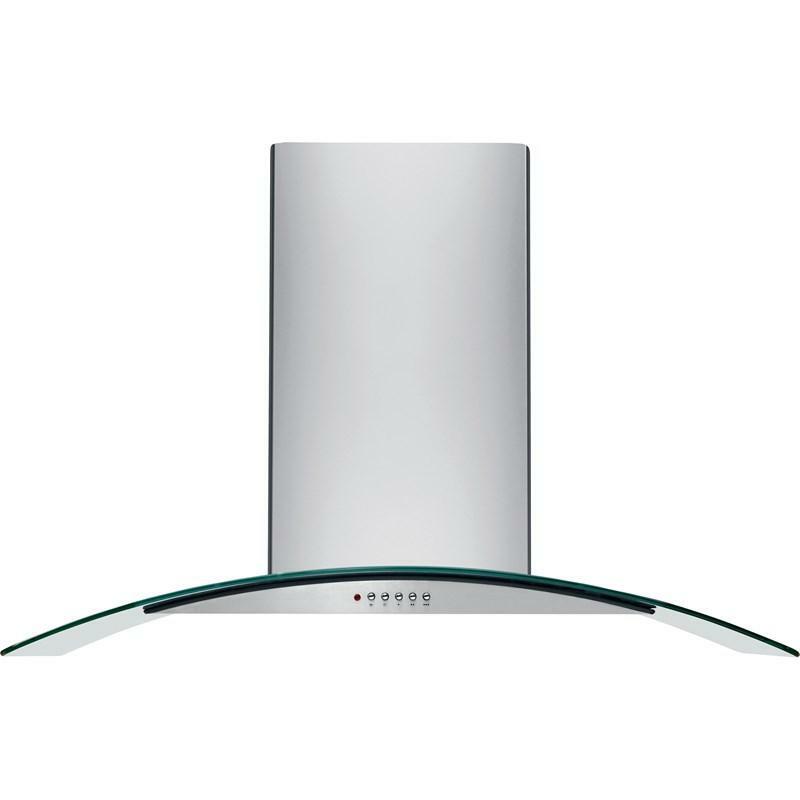 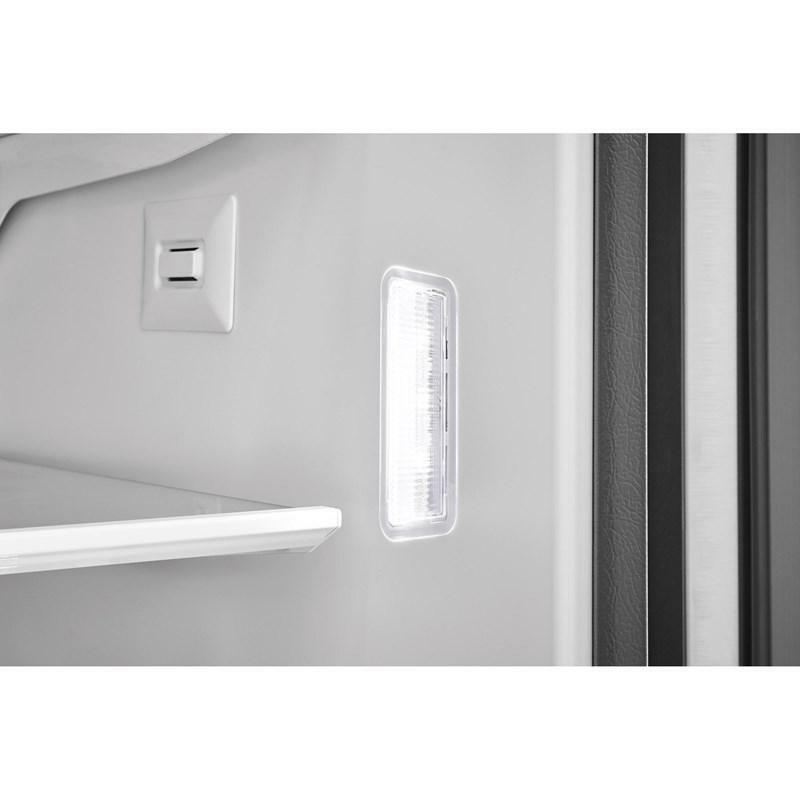 oven capacity, and features a self-cleaning oven, Ready-Select® controls and timed cook option. 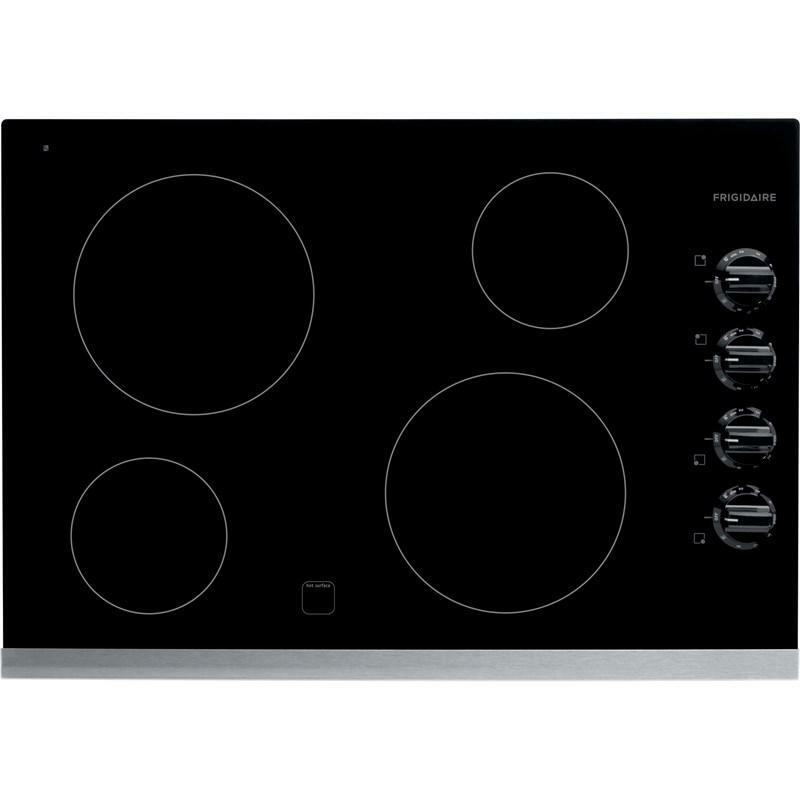 The Even Bake technology ensures that your food is cooked quickly and evenly. 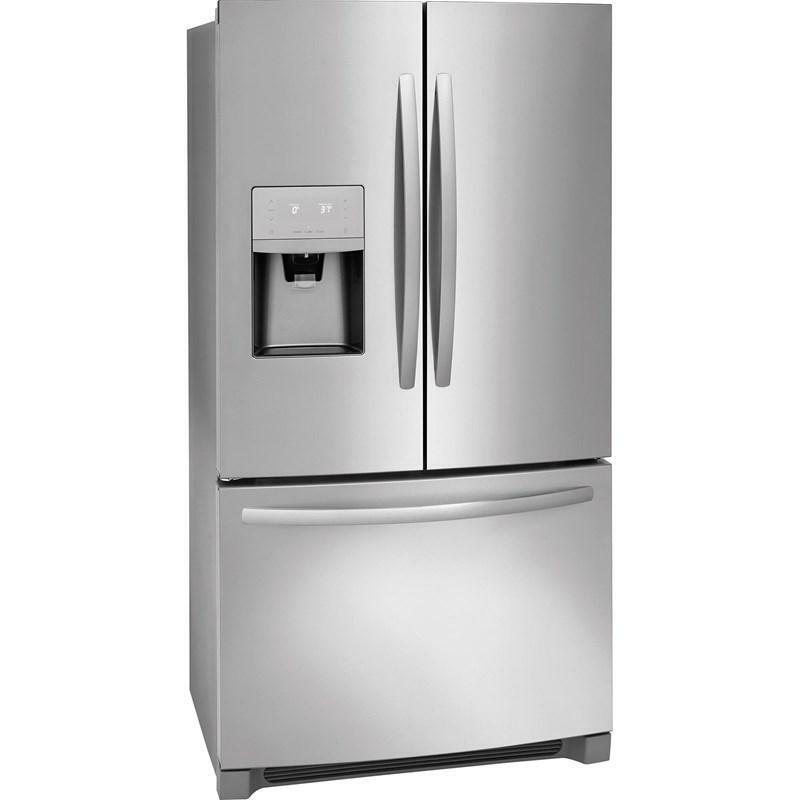 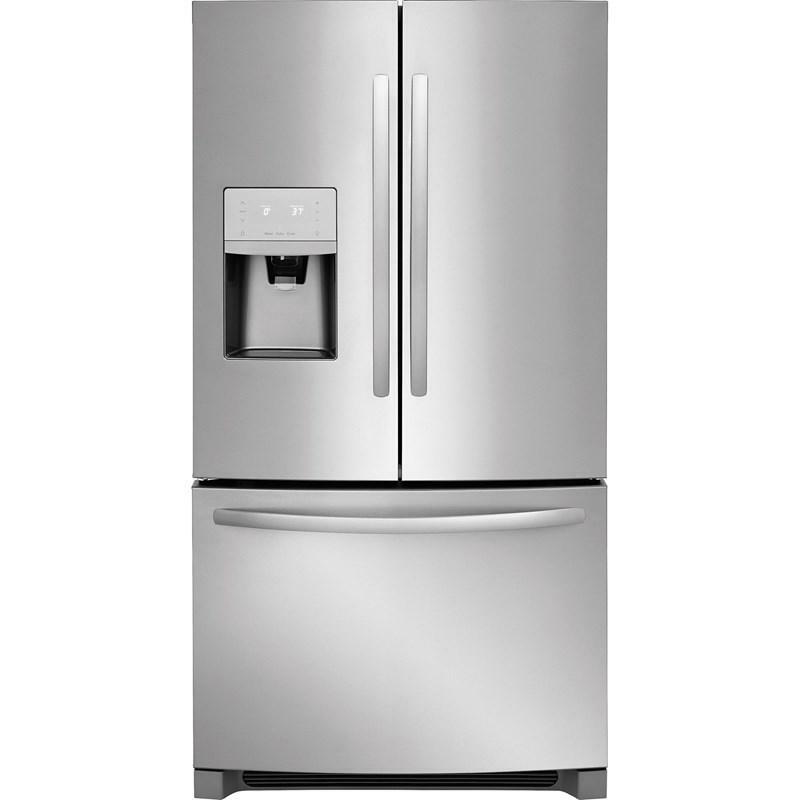 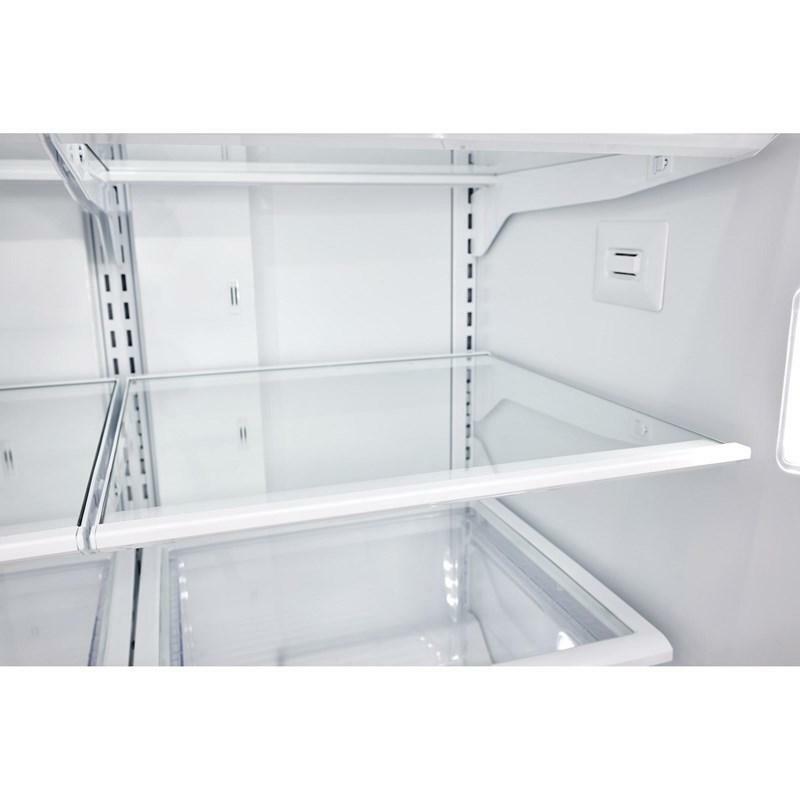 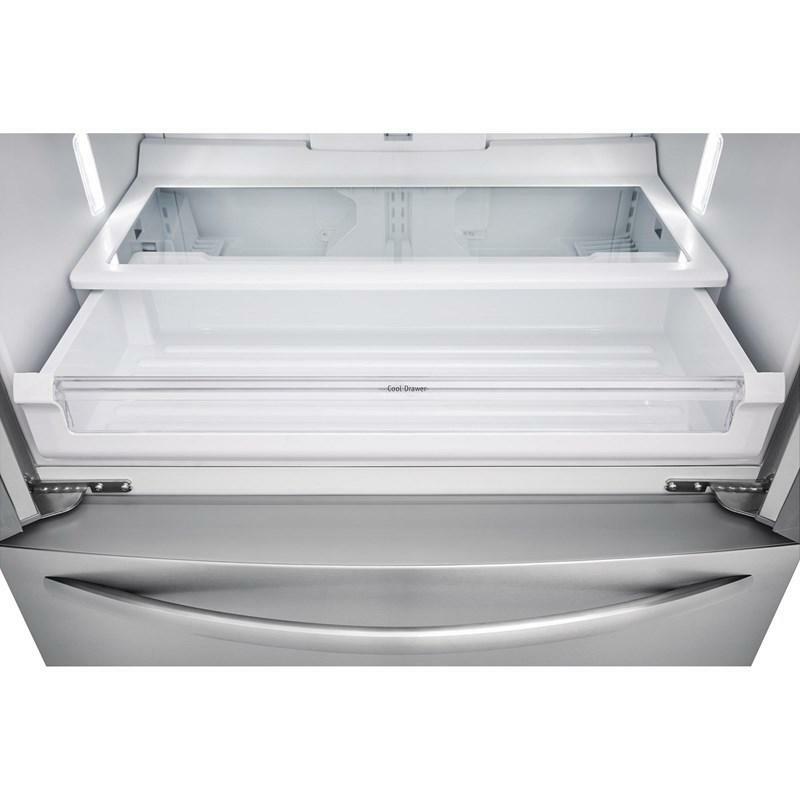 Frigidaire 2.2 cu.ft. 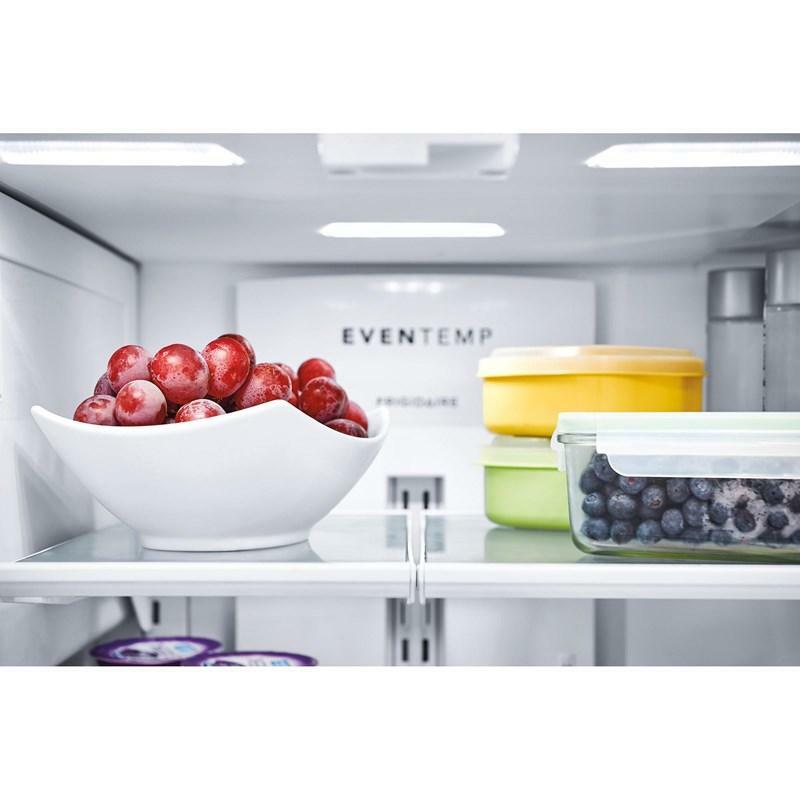 countertop microwave features 10 cooking power levels, sensor one-touch options, Easy-Set™ start and multi-stage cooking option.